In an effort to stay on track with my 2018weight loss goals, I've scoured the Internet and recipe books for healthy low-fat hacks for some of my favorite Super Bowl Snacks. Below are some that were so good, I had to share. What is a super bowl party without a big pot of something to keep the beer guzzlers on their feet? Chili is my go-to. And since last year, turkey chili is all I make. With the right ingredients, no one will even notice. Load in the veggies and you've got yourself a low-fat healthy meal. Go crazy and serve fat-free Greek yogurt instead of sour cream. Promise, no one will know. If you haven't tried Buffalo Cauliflower, and it you love buffalo wings, you're missing out. 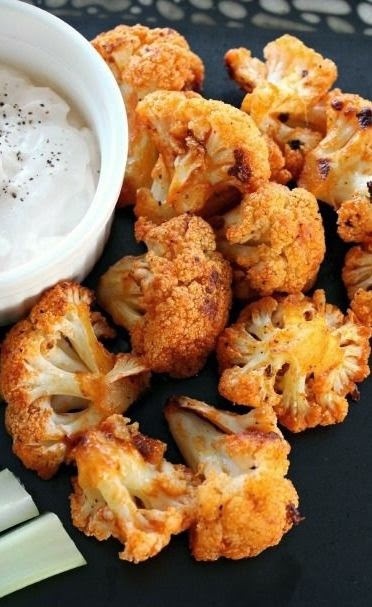 The roasted cauliflower has a nice crispness that makes this dish work. Try it. You'll love it! Roast cauliflower at 425 degrees for 20 minutes or until slightly browned and crispy. Toss with your favorite buffalo sauce and serve with celery sticks, fat-free blue cheese or ranch for a nearly guiltless snack! Full Recipe, here. Can the nuts and roast savory chickpeas. They are beyond addictive and so friggin easy to make! I make spicy, salty, cheese and sweet ones. 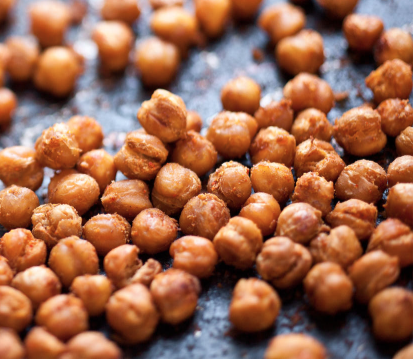 After you roast the chickpeas, you can coat them in just about anything and it will work. Don't forget the Game Day Helmet O' Fruit! Fruit is such an easy way to offer a healthy sweet treat. 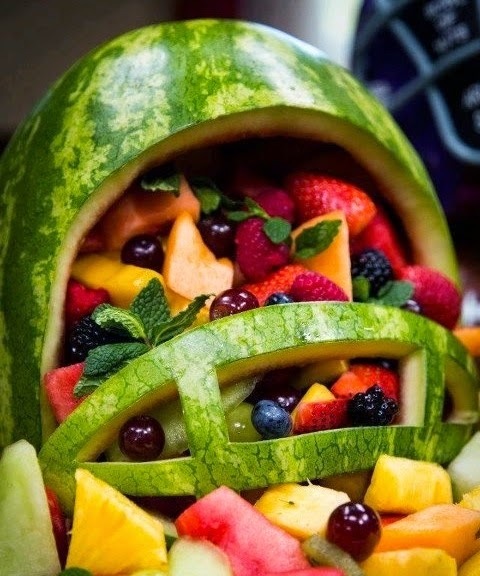 Buy the watermelon, carve the helmet then when guest asks whet to bring, tell them fruit to fill your helmet. Easy, inexpensive and a crowd pleaser. 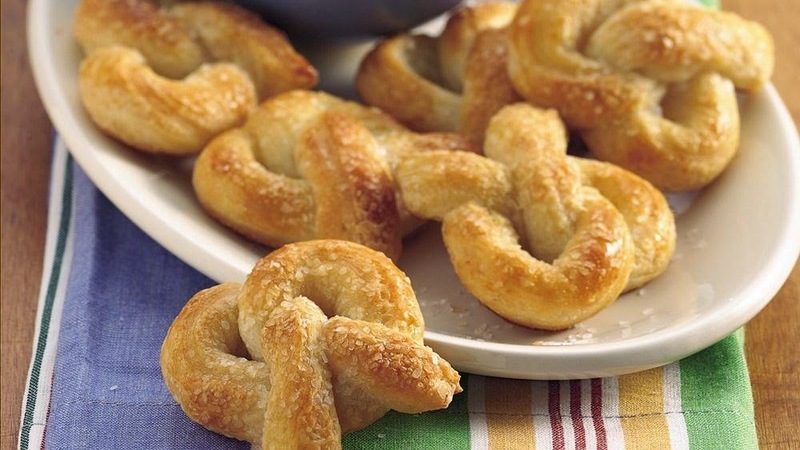 Fresh Baked Pretzels! This is a great snack that you can make two or three batches through the night to sop up the alcohol in your guests. Kids love them too! The cheese dip is my guilty pleasure. I could eat through gallons of Queso. Gallons. 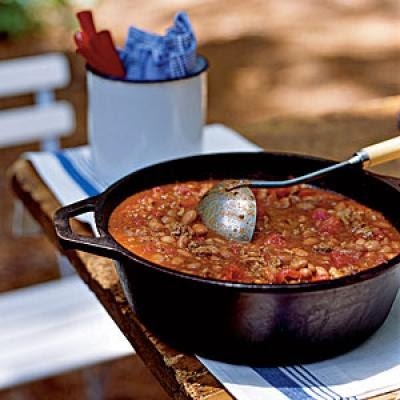 This recipe calls low-fat cheese and your low-fat chili. 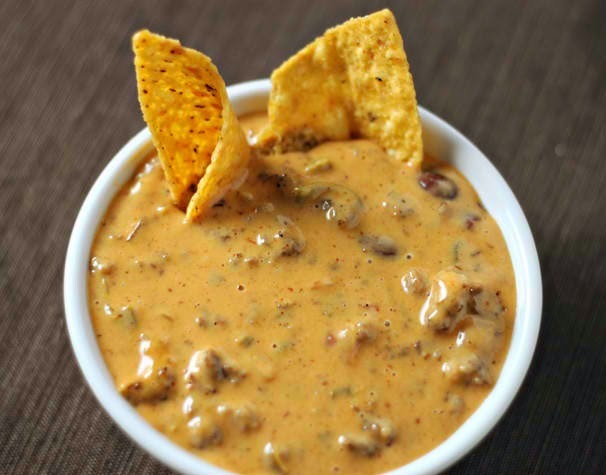 The combo makes a hearty low-fat cheese dip everyone will love. Add chili, loads of veggies and reduced fat and/or fat-free cheese! Step-by-step, Here. 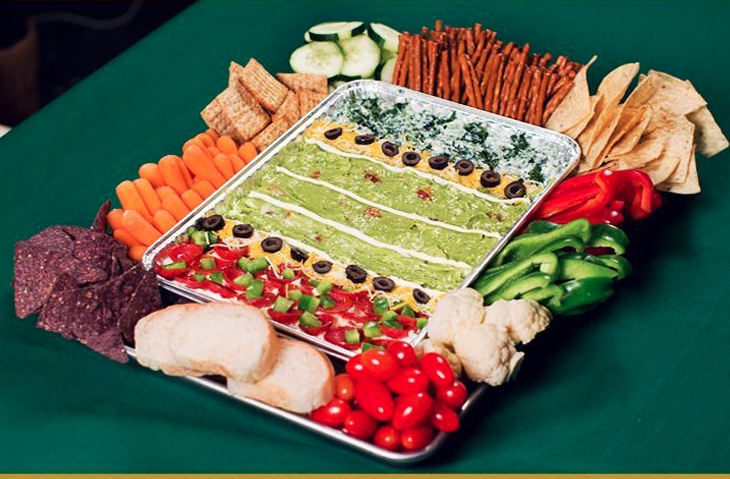 The Ultimate Gridiron dip tray filled with yummy low-fat healthy dips. I LOVE LOVE LOVE this idea. What a fun way to create a huge dip tray, perfect for the coffee table in front of the TV. This will keep you and your guest snaking on goodness all night long.